Have you heard of Esopus? Not the creek; it’s the Hudson Valley town that’s nestled between Kingston, Poughkeepsie and New Paltz, has the most water frontage of any town in the state, is inherently Instagrammable, and is the historic home of people like John Burroughs and Sojourner Truth. If you love the Hudson Valley or the Catskills and want to start a business here, great! Our town has an easy and transparent process for getting started. We recently interviewed seven of our local business owners on why they love Esopus. 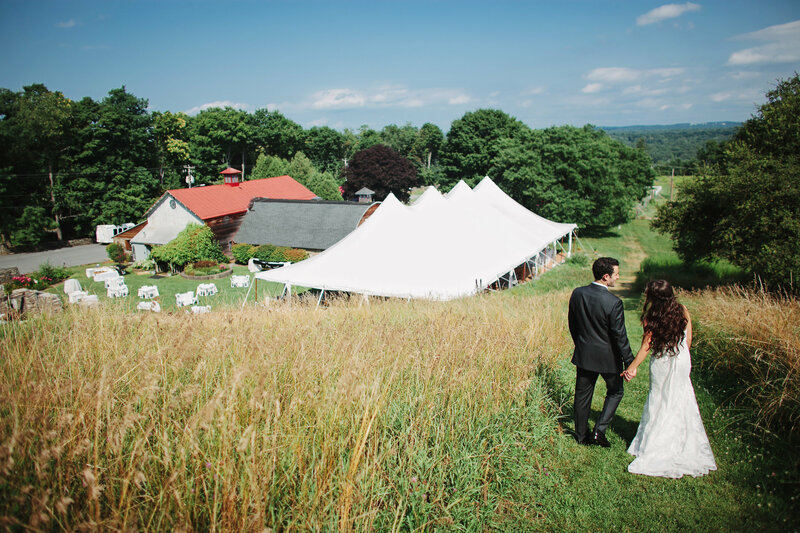 How they ended up in Esopus: “This is our 42nd year of business. 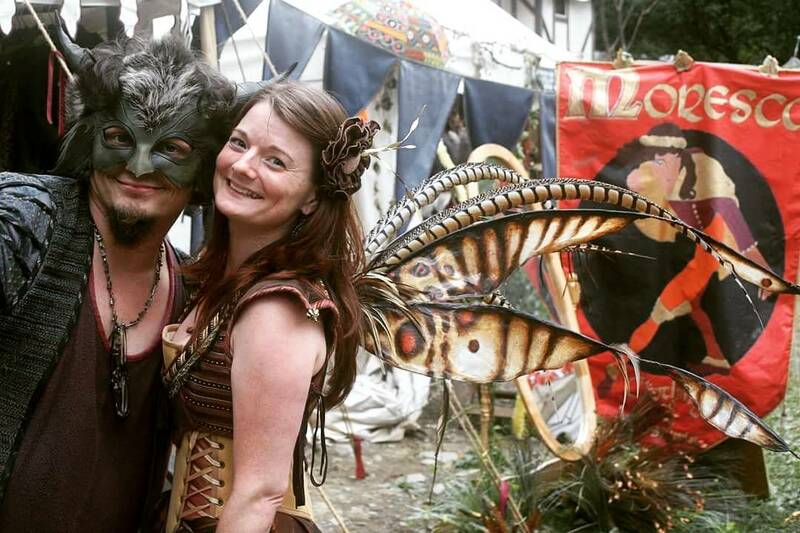 We started in California at some of the first renaissance faires there in 1976 or 1977. We’ve been operating in Ulster Park since 1980. When they’re not working: “I love Scenic Hudson. I do a lot of hiking at Sheaupeneak and Black Creek and all of those areas. The Apple Bin has always been a favorite too. I’m also a big fan of the Port Ewen Library and Wood n’ Wheel. What they do: “My husband is an assistant maintenance supervisor at Woodstock Day School; I am a counselor at Ulster Correctional Facility in Naponoch. We have full-time gigs, but every year, we do small-scale rice farming on our farm. The rice is cultivated by Nfamara along with his cousin Moustapha Diedhou of New Paltz, with help from our sons. Nfamara and Moustapha are master rice farmers and master drummers from the Jola tribe of the Senegambia region of West Africa. How they ended up in Esopus: “We were living in Saugerties; I had lived in Rosendale too, and I met Nfamara at a dance class in New Paltz. We were looking for places with land to farm close to New Paltz and Kingston, and we found this house here on Union Center Road, that appeared to have wonderful land in the backyard. It’s kind of wonderful here; there’s a little mountain ridge, there are houses on the road, great views. Two houses over, people have buffalo. How they’ve integrated with the community: “We have had a lot of help and love from the Bruderhof community that lives down the road. They’ve been very supportive in helping us plow, and they come and help and participate. We like the relationship… my husband is a devout Muslim, and they’ve come for his tabaski, the celebration of the end of Ramadan. We’re just finding really common ground in respect for each other and nature, and love and gratitude and commonalities, which is really cool to see. When they’re not working: “I want to go hiking in Esopus, but we have no time. We work, we come home, we go right to the field, we stay until it’s dark. We come inside and cook dinner with our family, and we go to sleep. “We have a small catering business and pastry shop down in Rye (Westchester) called Corner Stone Caterers. We’ve been there for 25 years. We’ve been doing weddings for about 20 years, and we realized that having control of the venue makes things significantly easier when you’re catering. We started scouting around, and found what used to be called West Park Winery. It’s a little bit of a hike to get people up here from New York City, but it was absolutely gorgeous. It took us a while to come up with the finances, but we pulled it off. We’re now in our sixth year. Our farm is supporting our shop in Rye with eggs. There are also lots of favors; we bottle maple syrup from the farm for the bride and groom. We’re close to producing honey, and this year, we’ll have our first wine. We have four or five different kinds of hot sauces and jams. On the farm, we work with Cornell Cooperative Extension a lot to lean on their expertise. We don’t use herbicides and pesticides and are striving toward organic. It’s incredibly labor intensive, it’s a real learning curve, but my daughter Shaleen and her team have done an amazing job. What’s next: “We average 250-500 people on weekends. There’s so much peripheral business that Esopus and this side of the bridge could be picking up if there were hotels here. Lodging would be absolutely critical. What they do: “We give families more things to do in the region. We’ve owned Wood n’ Wheel for 43 years. 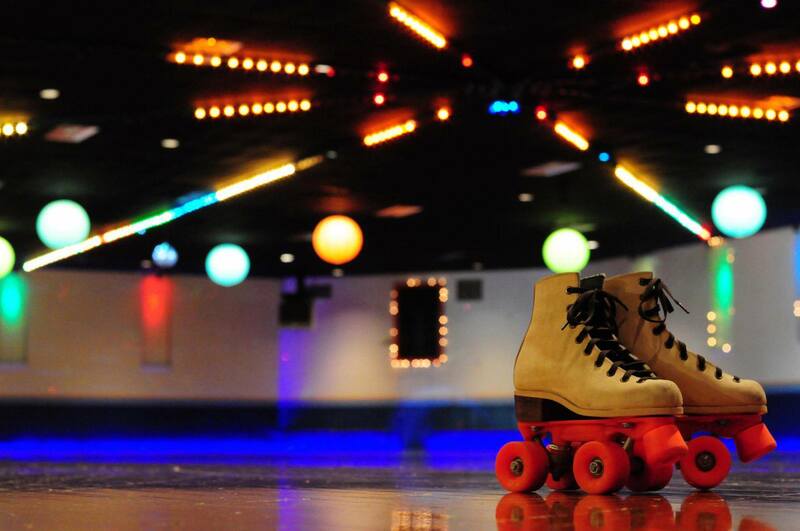 We started in 1974, and the it was an immediate hit as a roller rink. We added laser tag in the mid-90s, and then bumper cars, and an arcade in the 200s. We added paintball in 2008, and in 2011, we added an outdoor rock wall and bungee trampolines. How they’ve integrated with the community: “My parents actually live nearby, their property adjoins this property. It’s been a challenging business environment. When IBM left in the mid-90s, people with disposable money kind of dwindled, so we’ve gone out of our way to support local folks. We’re trying to bring in people from Dutchess, parts of Orange county, Greene county. When they’re not working: “I live in Poughkeepsie, but I know our workers will order takeout from Marios and La Roma all the time. What they do: “I make original art commissions for private and commercial clients around the world– from personal portraits to visual content for national brand advertising and magazines. I focus on traditional and contemporary cut paper techniques. I started working professionally as an artist in 2006 or 2007. I am self-trained, and I’ve always made art. How they ended up in Esopus: “I grew up in Oregon, and moved to the Hudson Valley to attend Bard in the late 90s. I lived on that side of the river for a number of years. In 2003, when we had a one year old, we were looking for a place that was an easy commute to both Poughkeepsie and Bard, where I was working at the time. We found this little spot, we were really excited to get three acres here. We had a lot of homesteading dreams, we had goats and chickens for a while. The kids had space to spread out and have lots of outdoor adventures. A big piece of it that it’s economical here. We were able to get a house here for an amount of money that we could really afford. We really loved the landscape. We had been to some of the Scenic Hudson parks in this area (Jenny’s husband Andy works for Scenic Hudson). We lived in Saugerties for about a year and a half before moving here to Esopus. We really love both sides of the river, but it felt like we could get what we wanted here. 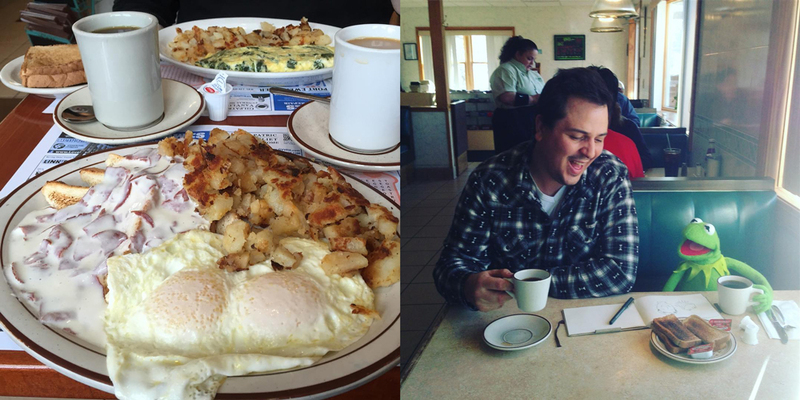 When they’re not working: “We do a lot of hiking, sometimes we go for paddles in the Rondout. We’ll get in at Sleightsburg, or the top of the Rondout below the bridge and paddle down. We would go to Freer Park a lot to play frisbee and fly kites. The kids love to get ice cream at Rainbow. They call it the Frozebow. We get takeout at New China sometimes. The Apple Bin has been one of the kids’ favorites for a long time… they love going there to get egg sandwiches and treats. How they ended up in Esopus: “The story is very spiritual. The Lord told me to buy the diner. We didn’t look at any other businesses. I was born in Charleston, South Carolina. My father was in the military and was from the Kingston area, so we moved around a lot getting stationed here in there. When I was in high school, we moved to this area and that’s how I ended up here. My husband is retired from the Sheriff’s department after 38 years, and worked out of the Esopus sub-station. My son played Little League in this area. So I know a lot of the community and the people. How they’ve integrated with the community: “Port Ewen is a nice, close-knit town. It’s all family. We know just about everybody’s name that comes in. We have a lot of repeat customers. We have people that come in twice a day, 7 days a week. How they ended up in Esopus: “There are a lot of funeral homes in Kingston, so I decided I wanted to move into my hometown of Esopus. My great grandfather (Harry Van Vliet Sr.) settled here, and I can trace my roots back to the 1700s. I figured, what better place? I already owned a building with my wife on 9W, and we live across the street. How they’ve integrated with the community: “I keep all my business local the best I can. I used all local contractors; I myself spend a lot of time in the Esopus community. I believe in loyalty to the rest of the business community in town here. It’s really a tight community. I can name five businesses right on Broadway that have lost a loved one, who have called on me to serve their family, and I visit their businesses when I can. When they’re not working: “I live in Ulster Park; I previously lived in the area intersected by the Hudson River and Rondout Creek called Sleightsburgh, where I was raised. I love the waterways that surround our town, the Hudson and the Rondout. My funeral home has a nautical theme… it’s very important to me that our community funeral home sticks with a local Esopus community theme. We have tugboats on display, almost all of the photos in our funeral home are specific to Esopus. One of my greatest joys is the Hudson River; we used to call the Sleightsburgh slip “the islands.” The other neighbors and I would go out to the islands, and we’d find snapping turtles, deer, turkeys, rabbits, all that stuff. It’s like the hidden gem down there. My funeral home is probably only a stone’s throw away from the Hudson. We constantly have geese along with deer.